Please forgive the worst pic on the blog (shot from my cell phone) but I just got back from a short trip to Bangkok and had some really great food. 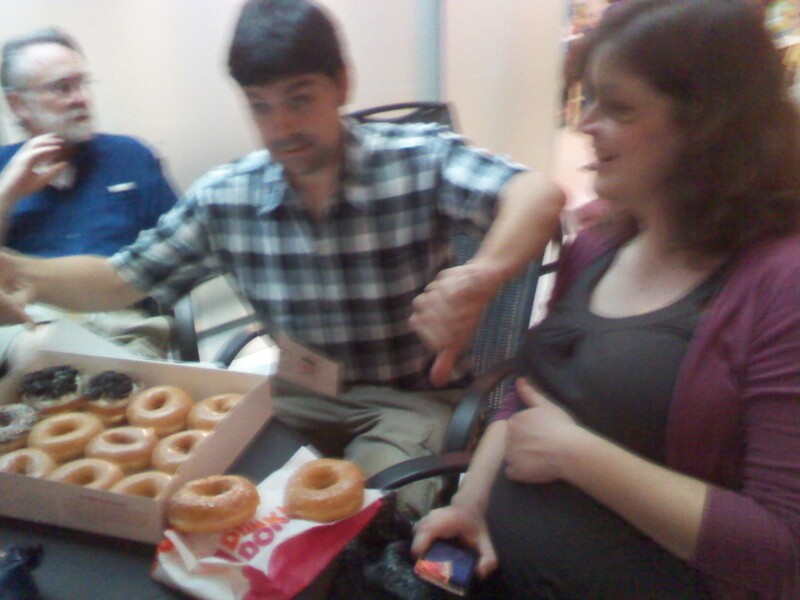 This shot is of the least amazing food, a Krispy Kreme vs. Dunkin Donuts taste test (KK won in texture and DD on flavor and we all felt horrible after). Burgers – Garage , 2nd Floor of All Seasons Place on Wireless road – Really tasty bacon cheeseburgers at an American themed restaurant in some huge office building mall. Vietnamese – Xuan Mai, 351/3 Sukhumvit 55 – Absolutely amazing food, a bit pricey for Vietnamese but wow. Some highlights were the honey suckel flower with pork and shrimp and a creme brulee desert served in an empty coconut. Also, the Owner of the place was Miss Siagon in the 70s and apparently worked for the CIA. Really great dinner. Italian – Bacco, 35/1 Sukhumvit Soi 53 – Nice wood fired pizza with some interesting topping choices.